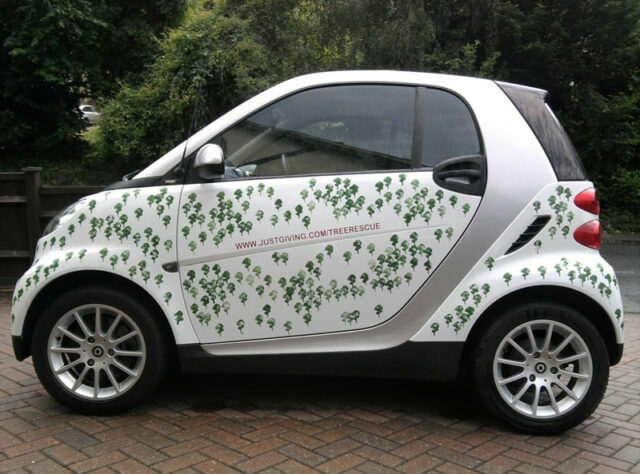 As a fun and innovative fundraising project, WLT supporter Steve Ware decorated his Smart car with trees to raise funds and awareness for our work saving the world’s threatened habitats. By selling tree stickers, Steve was able to increase awareness about deforestation and raised nearly £500 for WLT’s conservation work. The stickers were made from eco temporary paint kindly donated by Green Street Media, which Steve also used to write on his car to encourage people to donate to WLT by text message, a quick and easy way to make a small donation online. Happy couples tying the knot last year raised nearly £3,000 online for WLT as a gift donation. Matthew and Julia Heyn explained why they were so inspired to encourage their friends and family to donate to WLT: “This excellent charity raises a lot of money for wildlife conservation projects around the world and does so in a very innovative way. Proud father, Steve Ringham, set up an online fundraising page for his daughter’s first birthday. Baby Serenity celebrated her first birthday with a picnic in the park, while her parents encouraged friends and family to donate to WLT rather than buy her presents – a meaningful way of saving pristine tropical rainforest in her honour. A word from Serenity, aged one, from her fundraising page: “As a family we have come up with two worthwhile causes that aim to make my future a brighter place. Instead of lots of pressies, I would like to make a real difference on my birthday so please contribute what you can to my page. I would be grateful and can have my fundraising certificate as a keepsake.” Serenity raised nearly £200 for WLT on her first birthday, showing that even in your first 12 months on Earth you can do something amazing to protect it into the future. Inspired by Edo’s fundraising project, his eight year old daughter decided that she would help him save the world’s wild places; Iva drew wildlife pictures and sold them to her friends and family, successfully raising £50. 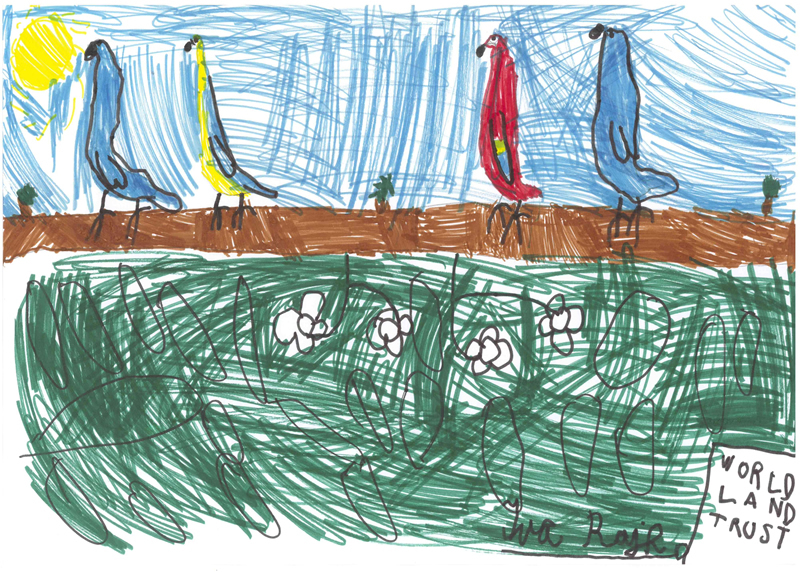 She sent in this lovely drawing (pictured) that is now hung proudly in the WLT office. 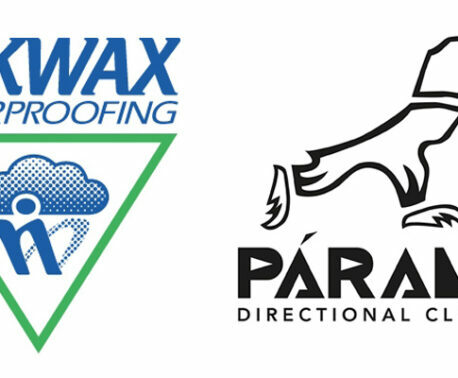 Our supporters have been scaling some of the highest mountains on Earth and competing in marathons across the world. One fundraiser, Charmian Robson, was about 70 years old when she completed the Chianti Marathon in Italy to raise about £900 for WLT – a fantastic achievement. Another supporter, James Baldwin who successfully completed the Three Peaks Challenge, said: “I have chosen to raise money for the World Land Trust. They are an amazing organisation who work with local people to purchase land in some of the most threated wildlife habitats, and turn it into permanent nature reserve.” James raised over £650 to help us create more nature reserves, providing a safe haven for some of the most threatened wildlife on the planet. Fundraisers Anna Tarbet and Joanne Hughes created their own extreme challenge, called Three Peaks with a Twist. Setting off in fancy dress, they first conquered 913 meters (2,995 feet) to get to the summit England’s highest peak, Scafell Pike. They then headed to Mount Kilimanjaro, the highest free standing mountain in the world at 5,895m (19,341ft). For their final challenge, they trekked almost 175km across the Himalayas to the base camp of the highest mountain on the planet, before scaling the one and only Mount Everest at 5,400m (17,500ft). This impressive achievement raised almost £900 for WLT, helping us protect more of the world’s wild places. We would like to thank all our supporters for their commitment and generosity throughout the year. 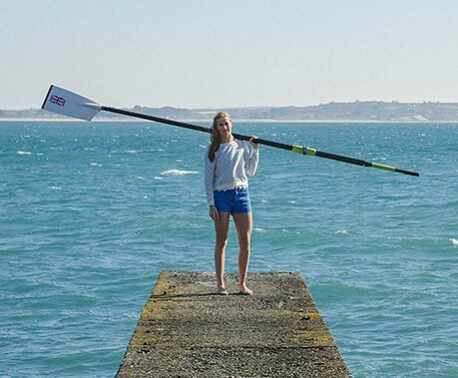 We hope to hear more of your fantastic fundraising ideas in 2012.